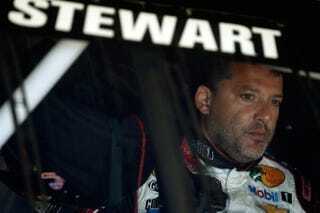 Last year, NASCAR driver Kevin Ward Jr. was killed after being run over by Tony Stewart. Earlier this week, the family announced they were suing Stewart for the wrongful death of their son, and now they’re reiterating with more forceful language. Mark Lanier, the Ward family attorney, has called Stewart and his legal camp’s reaction to the lawsuit “appalling,” perhaps referencing claims from Stewart’s counsel that Ward was killed because he had smoked weed earlier that evening (a point the Ward family has rightfully called into question). Stewart and his lawyers should have watched the videos and listened to the audio before filing their court papers. If Stewart didn’t see Ward until just prior to impact, Stewart doesn’t look where he’s driving. A grand jury in upstate New York declined to charge Stewart with Ward’s death in criminal court.